RF Depot Inc. provides coaxial cables assembled by hand and quality tested to guarantee a satisfactory product for our customers. Standard assemblies are offered in custom lengths with quick deliveries at favorable prices. All cables are carefully assembled and DC tested in a laboratory enviorment. Each cable is tested at 40.00 GHz on a pass/fail basis. Coaxial cable is used as a transmission line for radio frequency signals. 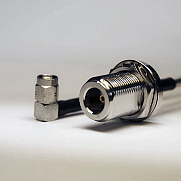 Its applications include feedlines connecting radio transmitters and receivers to their antennas, computer network (Internet) connections, digital audio ( S/PDIF), and distributing cable television signals. 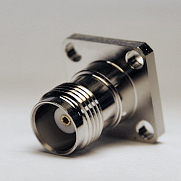 A high quality coaxial connector makes a lasting, consistent connection. 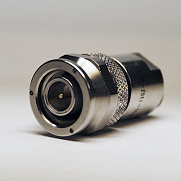 Coaxial connectors are components attached to the ends of a coax cable—they make it possible to connect to other devices. 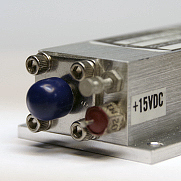 Electronic amplifier or (informally) amp is an electronic device that can increase the power of a signal (a time-varying voltage or current). © RF Depot Inc. - All right reserved.